Music is a common love for many and good 'ol Bollywood helps fuel it every year with its various songs from its various genres. The diverse music may capture our hearts but undoubtedly there are times where it fails to impress us, case in point: 2016. As the year comes to an end, BollyCurry has handpicked some of the best and worst jingles the music industry had to offer us. We start off with the tracks that will remain on the happy side of our memories. Be it the dance number "Kala Chashma" or the romantic tune of "Kaun Tujhe", this is our top ten songs of the year. 2016 began with an intense and heart touching romantic song by Arijit Singh. Even though the beginning verses are supported by just the simple strums of a guitar, it sets a beautiful, romantic mood. As the song progresses on, more instruments marry in with the lyrics to enhance the mood intensely. 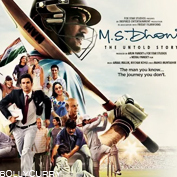 Mithoon truly did a wonderful job with this track. The minute this catchy song starts playing, we automatically start moving to its beats. The trumpet playing in line with a good rhythm keeps us perpetually tapping our feet. With easy to understand lyrics and a party tune that we sure enjoy dancing to, this song obviously deserves to be in the top ten. Penned by Kumaar and composed by the Meet Bros, the music keeps our energy high from the beginning to the end, making it a great dance number sure to spice up any party. A great additional rap by Yo Yo Honey Singh is introduced in the right places giving the entire song a good flow. Atif Aslam always contributes to the musical world with amazing love songs and this is another feather in his hat. Apart from the music with smooth transitions from high to low, Aslam entices all with his deep vocals. The song isn't enhanced with music all throughout but the composition is done well so that we feel it deserves a spot in the list. Who knew a simple song supported by just a couple of instruments would sound so beautiful? Amidst the darkness that is shown to cloak Punjab, the song brings about hope. Amit Trivedi's music suits the lyrics of the late Shri Shiv Kumar Batalv who was well known for his romantic poetry. Overall, the song has left a long lasting impression. 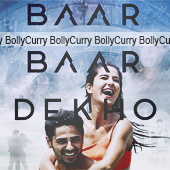 Badshah shines once more with this song featuring Sidharth Malhotra and Katrina Kaif. 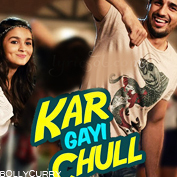 The rap mixes well with the rest of the song and lets not forget Neha Kakkar who did a great job on her vocals. Overall, this party song makes us get on a dance floor and sway our hips to the kala chashma. A great addition to any dance playlist. When Rahat Fateh Ali Khan lends his voice to music by Vishal and Shekar, it is bound to be a hit. 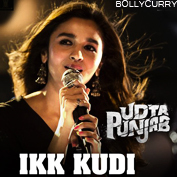 This song has a rich Punjabi flavour which has us all humming to it even after the song is long over. With a soft desi mood, this song has crept into many hearts. 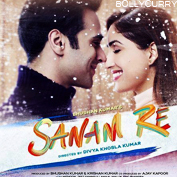 This biopic surprised us with a soothing and heartwarming romantic number. Everything from the lyrics to the humming in the chorus adds to the mood. 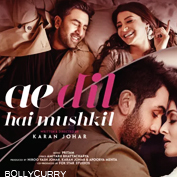 Palak Muchhal's sweet voice blends in perfectly with the whole composition, which is an uncommon mix of intense and sweet. The two minute trailer gave just a little insight of what this song had to offer but that was all it took for us to fall in love with it. The intensity created by the piano and supporting music which blends in with the lyrics is beyond perfect. To top it all off, we have Arjit Singh's intense voice lending an air of melancholic romance. The movie might not have impressed us all but this song will definitely wander in our minds for quite some time. Be it for a dance routine or to entertain yourself when doing a tedious chore, this is our song. Arjit Singh's singing and Vishal & Shekar's music definitely synced well. Even with the modern touch, there's a desi rich verse which fits in with ease. This is one song where even the background chorus contributes a lot to the mood of the song. Now we move on to the less impressive songs. While some started off well, they eventually failed to retain our attention and others completely failed to connect with us. Not all songs find a place in our hearts and so here's the list of songs which we would rather forget before the year ends. This song loses us from the very beginning. The music is very generic and the lyrics don't have much to keep us listening. 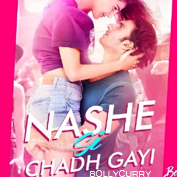 A failed attempt to mix a love song and an item song together, the song is not worth adding to any collection or listening to completely even once. Though the song starts off with decent lyrics, it goes downhill from there. From the lyrics, we assume that the song should set a sad atmosphere but the track fails to keep us listening with a lingering confusion on what the mood should exactly be. This song had its share of buildup before greatly disappointing us. 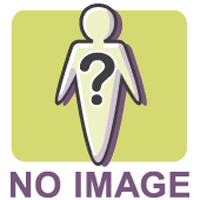 Bollywood has a huge collection of item songs and this one was just not up to the mark. As the introductory music starts getting catchy, the lyrics jump in and leave us confused - the wording seems more suited for a romantic track rather than an item song. The visuals are the only thing that attracted us which brings this song on this list. The introductory music of the track is similar to the song "Sau Tarah Ke" but similar to the song above, when the vocals start, it's just not in par with the music. The lyrics revolve around the theme of love but this track feels forced for the sake of adding a love track to the album. If you haven't heard it yet you aren't missing anything. This is supposed to be a song to praise the river Sindhu. Being a song by A.R. Rahman we would expect more but once again we were left unimpressed. The lyrics and the music seemed to go in different directions. The only saving grace are the "Tu Hai" verses in between, which are from the best song of the album. Apart from that, this song offers nothing much. 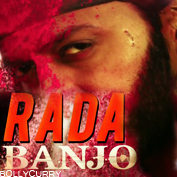 This song is an unsuccessful attempt to add a desi touch to rock song which does not do anything to us at all. Sounding like a mashup fusion gone wrong, the chorus doesn't go with the rest of the song and the lyrics don't connect with us either. A track that is better avoided. Though this album surprised us with a different genre, not all its songs were a good surprise. A song can be enjoyed even with minimal music but this track had music that did not sync well with the monotonous background music. While we wait for the song to actually start, it suddenly ends and that is probably why we couldn't connect with it. Till the introductory music plays we are fooled to think this is a decent song. Once the vocals start we are instantly bored. The lyrics are common and so is the music. A track that is worth skipping and not looking back at with any fondness. This is yet another song which is supposed to be romantic if we go by the lyrics but the tune and music belong to a completely different genre. The song is best forgotten once it ends because it has nothing special to stay in our minds. 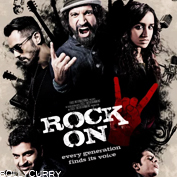 The two main reasons this song failed are that it is a song from a music-centric movie and the other being that the first outing, Rock On (2008), has songs that we still love listening to. This song does not fit into an album of such sort. The main lyrics are abrupt and don't sync well with the music. There is a missing flow which is another reason this song hardly gets any attention. That concludes our list of songs that we would take with us to the next year and the ten we would like to leave behind. It shows how expectation and genre can be good or bad depending on various factors like lyrics, music and the tone it is sung in. With that, BollyCurry looks forward to the new songs 2017 has to offer. Until then, do share the songs which you think would fit well in either of these lists in the comments section below. Editors: Juju K. and Jenifer A.